Online Registration Form is at bottom of this page. All AMIB members and guests are invited to a Rendezvous at Russell Island. The date for the Russell Island Rendezvous has been changed to SATURDAY JULY 23RD. All boats are invited to attend. 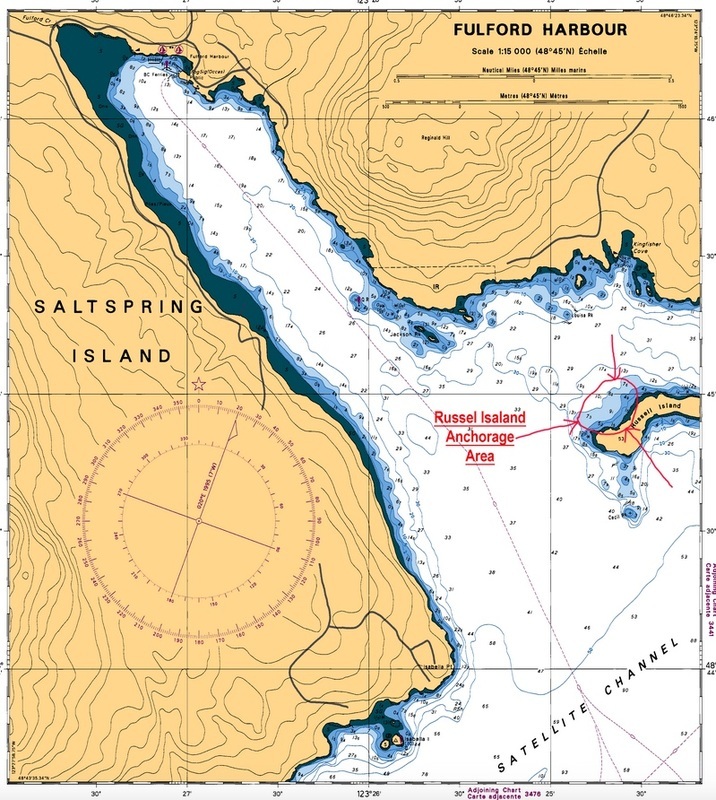 When you look on your charts, it is located in the mouth of Fulford Harbour on Saltspring Island, between Isabella Point and Eleanor Point. 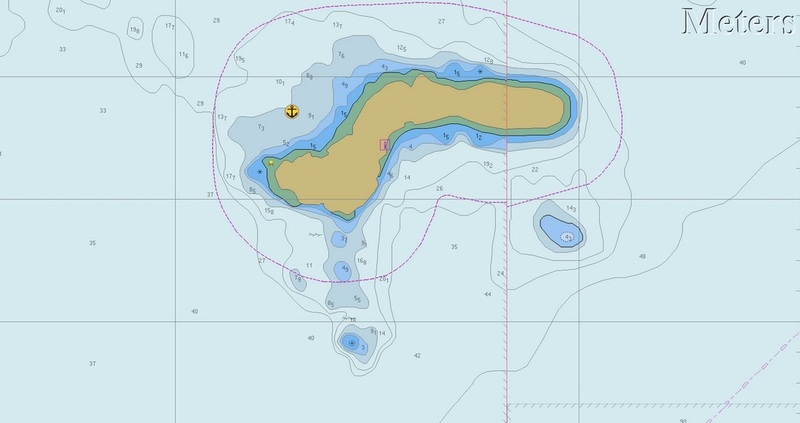 Anchor on the Northwest of the Island. 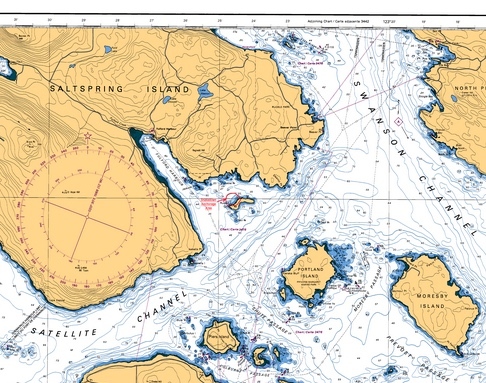 Russell Island is a Gulf Islands National Park Reserve. A dinghy dock is provided for boaters to go ashore. A well groomed trail leads around the island.The island has a historic Hawaiian connection. The original homestead found on the trail, is open to visitors during the summer months. Let's plan on meeting ashore for lunch around 1:00 PM. Everyone bring their own lunch and drinks and we will meet on the shell beach on the NW point of the island. Turn right when you get off the ramp at the trail head, and go about 200 yds to the open area on the shore. 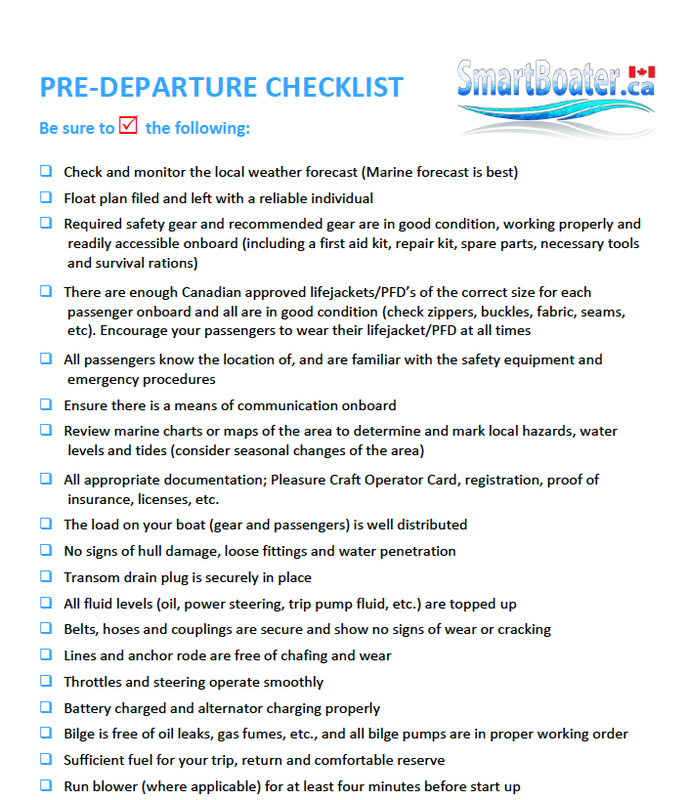 Come out for the day and if you stay for the night, plan on a potluck supper on the shore. Time to be determined. We hope to see you. Please call Cliff 3256 or Sharon 2311 if you have any questions.